The Lord giveth, and the Lord taketh away, blessed be the name of the Lord. 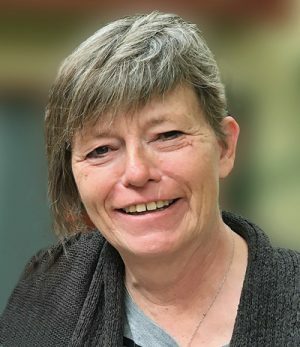 On Monday, Dec 24, 2018, Patricia Karen Vandervalk (nee Vos) was called home for Christmas by her Lord after a battle with cancer. Patty was born Aug. 6, 1962 in Claresholm. She married Allyn Vandervalk in 1981 and they farmed and raised four children together in the Granum area. She was a lifelong dedicated member of the Granum community, as well as Granum Christian Reformed Church, particularly serving on the Willow Creek Gospel Music Jamboree board for many years. Patty was predeceased by her parents, Gerhard and Hilda; and her brothers, Arnold and Clarence Vos. Patty is survived by her beloved husband, Allyn, and her children, Justin (Annie), David (Diane), Lynae Ovinge (Tanner) and Kevin (Kaitlyn). She leaves behind seven grandchildren to whom she was an adoring Oma: Avry, Paige, and Kennedy Vandervalk, Quinn Ovinge, and Kyden and Kylie Vandervalk. Patty is also survived by her siblings Georgina (Don) Vos and Jim (Marianne) Vos; sister-in-law Myra Vos of Burnaby, B.C. ; and many loving nieces and nephews. Patty is remembered by her many friends and family as a truly positive, kind, and vibrant woman. She had strong personal faith and was a blessing to those around her. A funeral service was held at the Granum Christian Reformed Church on Monday, Dec. 31, 2018, at 1 p.m. with Pastor Henry Veldboom officiating. The interment was held in the Granum Christian Reformed Cemetery. If friends desire, memorial donations may be made in Patty’s memory to the Claresholm and District Health Foundation, P.O. Box 2638, Claresholm, T0L 0T0. “For I am convinced that neither death nor life, neither angels nor demons, neither the present nor the future, nor any powers, neither height nor depth, nor anything else in all creation, will be able to separate us from the love of God that is in Christ Jesus our Lord.” Romans 8:38-39. Arrangements entrusted to Willow Creek Funeral Home, Claresholm. Telephone: 403-625-3212.